Feel like recording gameplay footage from such classics as Doom, Command & Conquer, Duke 3D, Warcraft II, Diablo or Age of Empires only to find that neither Fraps, Bandicam nor any other recording software is up to the job? No worries. The easiest way to record old games is to run them through a window, and we’ll find several ways to do this. 1. Start the game and go to the options menu. See if there’s an option to run the game in a window. opengl – OpenGL rendering, with bilinear filtering turned on. openglnb – OpenGL rendering without bilinear filtering, leaving the image quality the same as in the default ‘surface’ renderer. Note: If you’re playing a DOS game you bought from GoG.com, you’ll notice it has DosBox already built into it, and which is run automatically when you start the game. These DosBox executables work independently of each other, so you can have many GoG games installed but their DosBox-es will work independently of your own DosBox installation. Anyway, please note that GoG fitted their DosBox emulators with a small program that lets you change the renderer from a window, without needing to get into any code editing. 2). This second method also requires DosBox. Simply run your game and press Alt+Enter to switch to windowed mode. Then select Bandicam’s ‘Rectangle on a screen’ desktop recorder, center your DosBox window and record away. It’s that simple. As a rule of thumb, always try to RUN THE GAME IN A WINDOW. 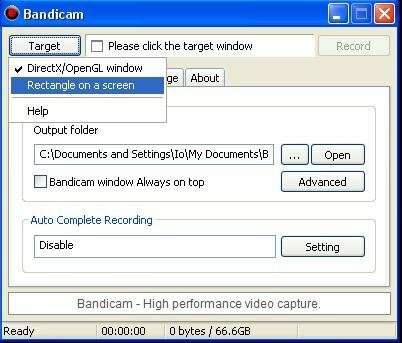 This will make it easier for you to record gameplay with Bandicam or Camstudio. 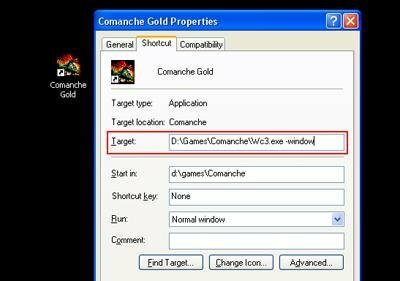 This method will allow you to record such famous games as Diablo, Diablo II, Age of Empires 2, Delta Force, Quake or Nox, to name a few. This method is for Win XP, but works identically in Windows 7 / 8. Note that this solution doesn’t always work for every game.. If not, here’s one more solution to forcing the game to run in a window. Download dxwnd.exe (scanned with antivirus software, safe to download). Extract anywhere and run the program. Go to Edit and press Add to add the game executable, as seen below. Now look for your game executable, located in the folder where you installed the game, and add it into the Path field. Select the game exec you just added in dxwnd.exe, go the Edit / Modify, and you’ll see the window below. 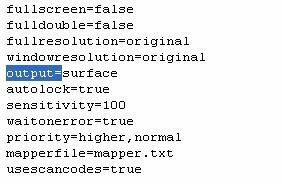 Change the resolution to either 640 x 480, or 800 x 600, whichever you prefer. Make sure ‘Run in a window’ is ticked on. Go to the Video tab. 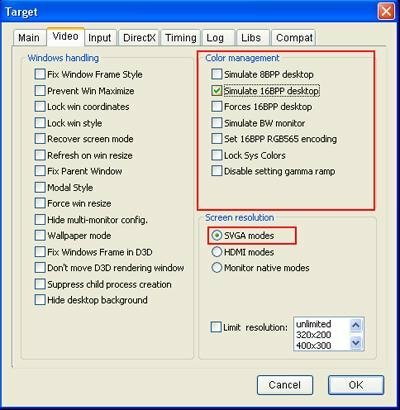 Select a correct color mode, then select SVGA screen resolution. These settings work for about 90% of games that I’m trying to run in a window. Now all you need to do is start Bandicam, go to Target and select Rectangle on a screen. This will allow you to record from a specific location on your desktop. You may then resize the rectangle to the game window and can record away or take screenshots as needed. Final Notes about dxwnd and Bandicam: These methods might not always work. Dxwnd might not be able to run a game in windowed mode. 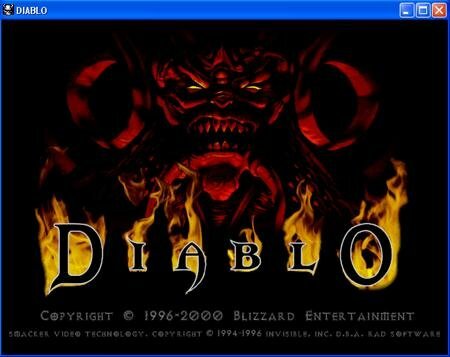 For example, I managed to run Diablo in a window, but could not do so with Diablo 2. Yet Diablo 2 supported the -window command line, and so it worked out in the end. I also noticed dxwnd not running games correctly if you start it after Bandicam (try to start dxwnd first, run the game, then start Bandicam). Some other times the ingame mouse did not work correctly when in windowed mode. Ask any questions and I’ll answer them if I can. Nice tutorial here mate , I personally use Fraps but also Bandicam is one of the best software in industry! Yo, I want to recors a diablo 1-2-3 campaign gameplay in fullscreen, I tested some diablo 2, worked perfectly fine as I wanted, but it just skips the cinematics… How am I going to record those? Well, maybe i could re play tje cinematics on windowed mod, then edit it… It could work I suppoae, but if there is any way to record fullscreen cinematic cutscenes I’d love to know it. any info appreciated! Thanks for the tutorial by the way. This helped me out a lot when trying to record Jedi Knight Dark Forces II. Thank you for sharing your knowledge! I want to record gangsters organized crime. A 1998 game that refuses to start in window. I havent tried dxwnd yet. I hope that the author of this article will also make an article about gameranger, it will encourage the players to play the multiplayer section of the game and also uploads the game that has multiplayer available to gameranger’s list of games. It could be better to make the article because I know that most of the players today wants to play with real opponents for they want to test their skill of the game on how pro/rookie they are. Is the website owner of this page is currently updating their face book page?